President Putin sent his message of greeting to the participants, organizers and guests of the Spasskaya Tower International Military Music Festival. 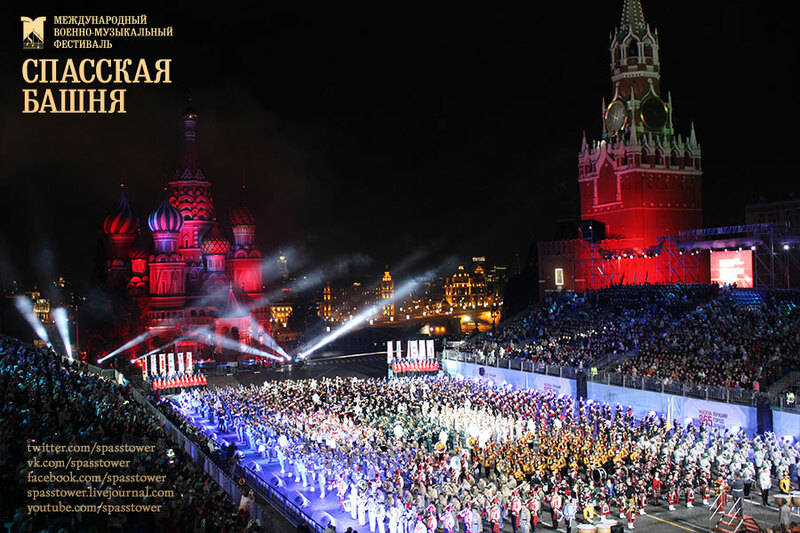 Spasskaya Tower International Military Music Festival. “The festival is renowned for its diverse, rich program and for its special, inspired atmosphere. The spectators look forward to and delight in this event that has become a true trademark of our capital city. Its impressive and spectacular concerts have become a truly triumphant success. Each year, the Spasskaya Tower attracts more and more military bands and outstanding soloists, dancers and folk groups from Russia and many other countries. 0 Comment to "Putin sent greetings to Spasskaya Tower Military Music festival"